Thanks, Helena! 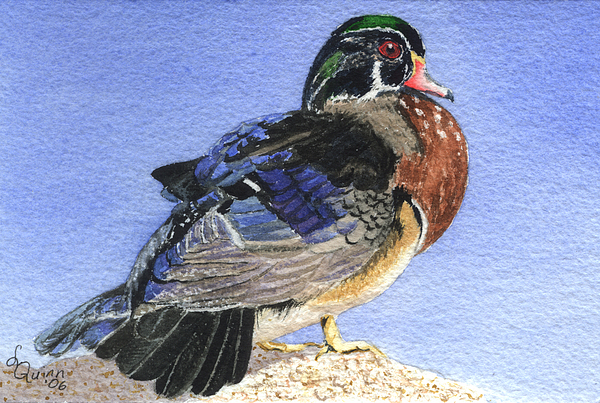 This one was fun, as I love wood ducks. I used to really annoy my kids by slowing down or stopping all along our rural road in the spring, to watch the ducks in all the little ponds and puddles, before the ice had gone out in the lakes. There was a wood duck pair that would hang around with a mallard pair. They seemed to be pretty good friends! Thanks, June! 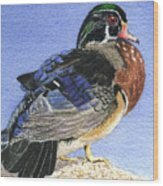 I really like wood ducks. We have them around here. I've seen them hanging out with mallards. I'd love to see them in the Pacific flyway sometime, where they hang out with their only close cousins, the mandarins. 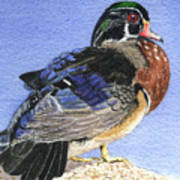 Super Duck work !Amzing detail !